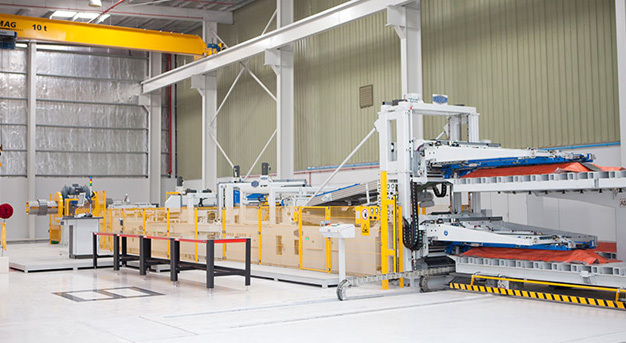 The plant is strategically located at Sharjah Airport International Free (SAIF) Zone, UAE, the plant is ideally situated to cater to the processed steel requirements of transformer manufacturers in the Gulf region. It is equipped with high precision state-of-the-art processing lines from Heinrich Georg GmbH Maschinenfabrik, Germany and Nittetsu Denji Corp., Japan. 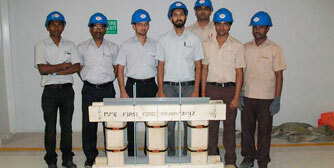 The plant also provides completely built–up transformer cores. The CRGO steel (Cold rolled grain oriented steel) is sourced from Nippon Steel & Sumitomo Metal Corp. (NSSMC), Japan – the best in the world. 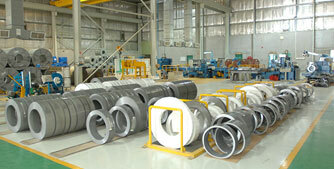 NSSMC is also a joint venture partner for this facility. 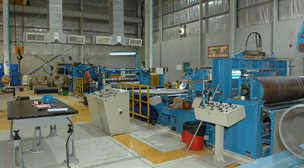 This facility Centre caters to the requirements of processed electrical steel for customers located in the Gulf region, and has the distinction of being the first steel service centre set up by an Indian corporate overseas, and the first such facility in the region. 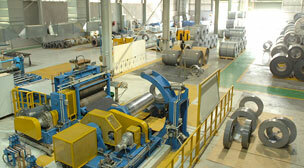 Sheet length range (center): 200 mm to 1700 mm.